It’s easy to spend a bundle in New York City, whether it’s an overpriced hot dog or an expensive seat at a Broadway show. 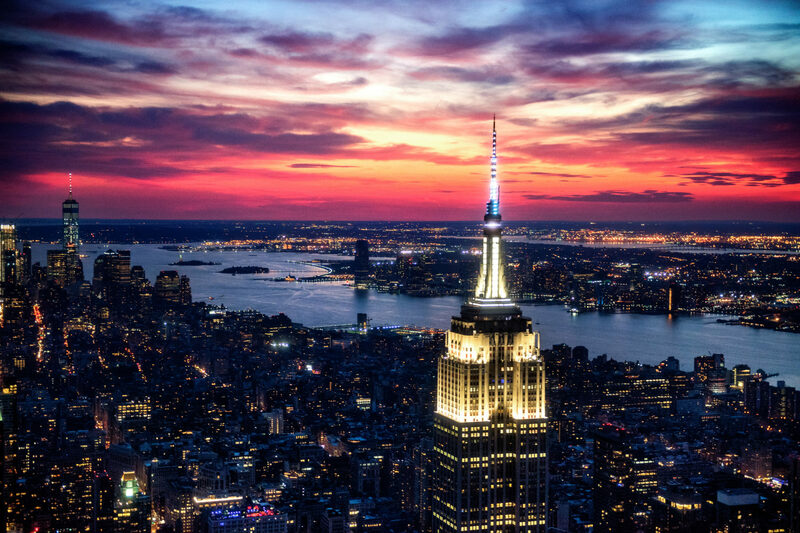 But my family has found a secret to saving in the Big Apple: multi-attraction NYC City Passes that get you into the top sights at a hefty savings. 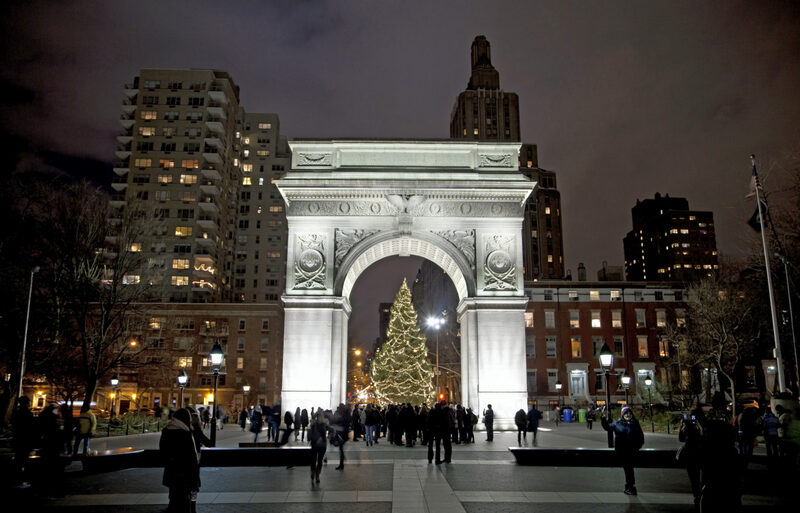 There’s nothing quite like New York City at the holidays and in the winter — the merriment is magical. The festively decorated store windows, the falling snow and the mammoth Rockefeller Center Christmas Tree can inspire even the biggest Scrooge to feel holiday spirit. There’s so much to see and do in the city in November and December, whether it’s shopping on Fifth Avenue, ice skating in Central Park or catching the Rockettes at the Radio City Christmas Spectacular. The sheer number of attractions, costs of admission and long lines can quickly become overwhelming. Luckily, my family has discovered the benefits of using multi-attraction passes in New York City to save time, money and stress. Multi-attraction passes allow purchasers to buy tickets to a group of attractions all at once, for a lower price than buying each attraction individually. They’re a time saver as well; this mom, for one, is happy to avoid going online to buy each ticket separately, or waiting in line at various ticket offices. Depending on the type of pass you purchase, you either can select which attractions you want to go to, or visit a set list of attractions. Some passes are good for a limited number of days, while others may be valid for up to a year. Typically, the passes also allow you to bypass the ticket line and simply show your pass to gain admittance directly at the entrance. 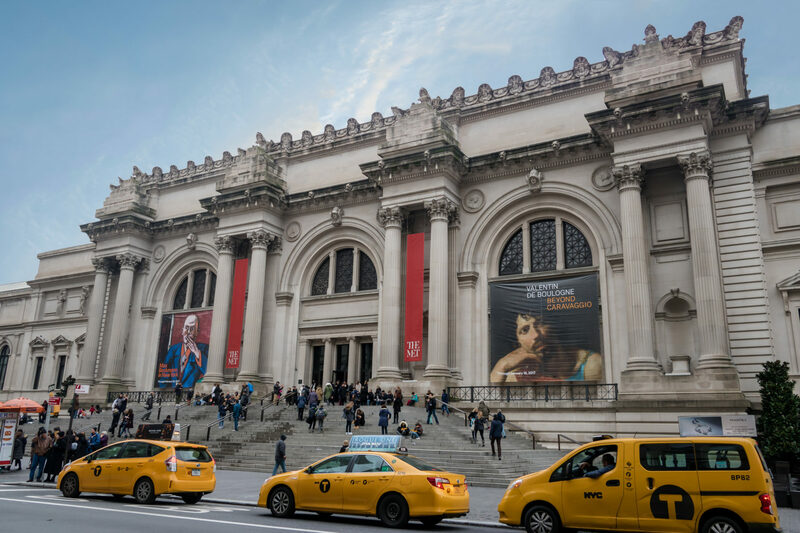 This can be hugely helpful at popular stops like the Metropolitan Museum of Art! Most multi-attraction passes are now available on your smartphone, so you only have to scan your phone for admission versus carrying (and potentially losing) paper tickets. For a cheap ride and a great skyline view, take the New York City Ferry from Manhattan to Brooklyn Dumbo. At only $2.75 per person, it’s a great deal and you’ll get to explore hip Brooklyn as well. This was my family’s favorite pass. It offers the most flexibility (choose from 100 attractions), and you choose how many days you’d like to access the pass — ranging from two to six days, or there are a seven- and 10-day options. We found three days sufficient for our visit. Adult passes range from about $130 to $425, depending on the number of days. Using this pass, we really enjoyed the Hop-On Hop-Off Big Bus Tour, which is a great way to quickly get an overview of the city. 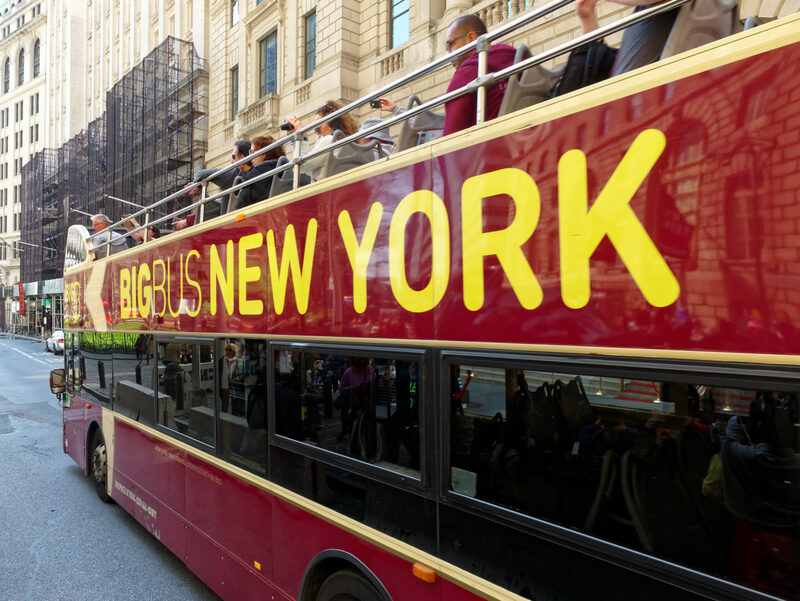 Plus, if it’s not too cold, you can sit on the top of the double-decker bus for outstanding views of the city’s architecture that you won’t see from ground level. I also recommend using the Hop-On Hop-Off Water Taxi ticket that’s included. Step on board to see top sites from the water, such as the Statue of Liberty and the Brooklyn Bridge, as well as amazing city skyline views. The pass even includes discounts at restaurants like Buca di Beppo, John’s Pizzeria, Dave and Buster’s in Times Square and others. CityPASS New York is the simplest option if you just want to see a few major stops in the city. The pass costs about $130 per adult and is a more than 40 percent savings on the full price of each attraction. You’ll enjoy access to three set attractions, and then you can choose between three additional sets of two attractions. 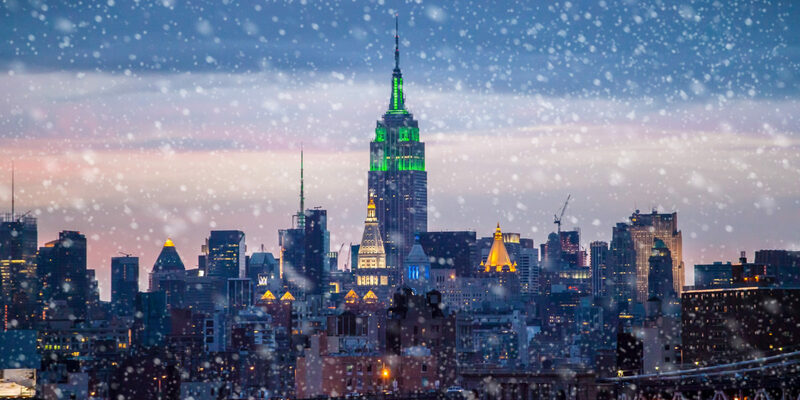 The Empire State Building, which has a seasonal light show on the exterior during the holidays, is included with each pass, and so is the Metropolitan Museum of Art and the American Museum of Natural History. Then, you can choose between Top of the Rock Observation Deck at Rockefeller Plaza or the Guggenheim (kids will enjoy the observation deck more); a ferry to the Statue of Liberty and Ellis Island (a must-do!) or Circle Line Sightseeing Cruises; and finally, the 9/11 Memorial & Museum (also an incredible and impactful site to show kids) or the Intrepid Sea, Air & Space Museum. The CityPASS is good for nine days from the first day you use it. You can also downgrade to a three-attraction option, but it doesn’t save you quite as much. Our family’s favorite free thing to do in New York City is walk the High Line in Chelsea. This former railway line is now an elevated park lined with incredible new architecture, lots of art and plenty of people watching. Not to be confused with the New York Pass, this pass works a bit differently and allows you to purchase a ticket based on the number of attractions you want to see — ranging from three to 11 attractions out of more than 80 you can choose from. The passes are good for 30 days from first use, and they typically save about half the cost of paying for the attractions individually. It also includes all the major attractions, lots of specific tours based on movies and TV shows, lesser-known museums, and tours of Brooklyn, Yankee Stadium and Greenwich Village. Prices range from about $89 – $219 per adult. Take a break from all that sightseeing to enjoy some of the city’s many inexpensive or free family-friendly holiday activities. You can explore the three major holiday markets that pop up around town, like the Holiday Shops at Winter Village in Bryant Park in Midtown, the Union Square Holiday Market and the Columbus Circle Holiday Market. Foodies will love exploring Chelsea Market. 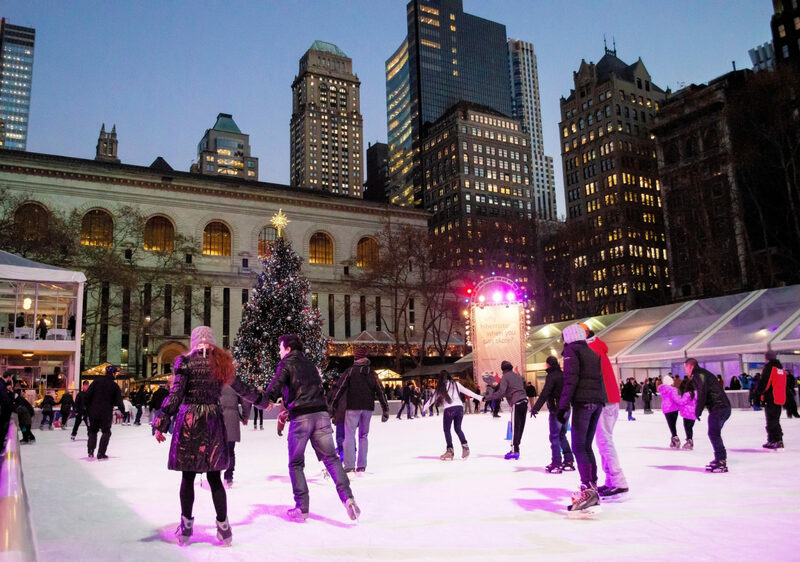 Ice skating in the city is also a fun activity; check out the rinks in Central Park or Bryant Park and at Rockefeller Center. For a sit-down activity that is also a splurge, I highly recommend taking in the Christmas Spectacular Starring the Radio City Rockettes. It truly does not get any more festive than that!